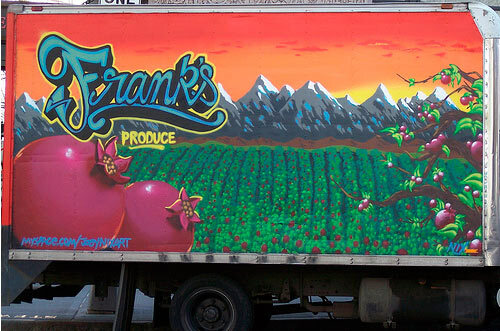 Our friends Writers Union painted a box truck for Frank's Produce in Seattle. The truck is getting some attention around town. Local news even did a report on the truck. Check out the news report here. Check out the Writers Union Site here.